This contest is for a preliminary design of a new game. The winner will be selected to develop the concept further on a much larger project. 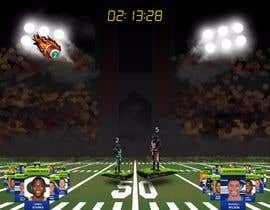 The basic concept is that there are 2 opposing football players standing on a football field, and flaming footballs are falling out of the sky with numeric values on them. As the footballs make contact with the players the players become larger in size based on the value. 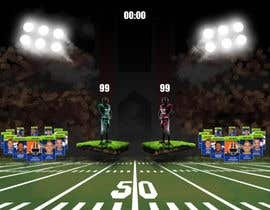 The total for both players are kept above their heads and there is a timer that keeps track of remaining time. Both the timer's value and the value for each football falling from the sky is stored in a database. Sorry, guys I just uploaded the carousel code for the players list. The flying football should correlate with a player in the list. 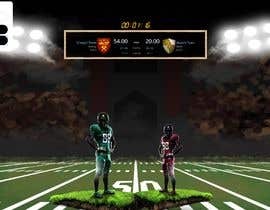 execuse me , but want HTML5 Website or football game ? HTML5 web-based game prototype not a full game just the features I mentioned, this will help me judge your capabilities to do the entire game. I will send a document with all of this detailed.